NORCROSS, GA (May 22, 2018) – DEUTZ Corporation and Terex AWP, a business unit of Terex Corporation that includes the Genie® brand, have aligned forces to establish DEUTZ Power Centers as authorized service and parts centers for Genie-branded mobile elevated work platforms (MEWPs); which allows Deutz Power Centers to offer Genie tech support and more. Staff at DEUTZ Power Center locations in Chicago, Ill., St. Louis, Mo., Kansas City, Mo. and Rock Hills, S.C., are trained and equipped to perform service, warranty, unplanned repairs and supply service parts for Genie Z® and S® booms, GS™ scissors lifts and GTH™ telehandlers. 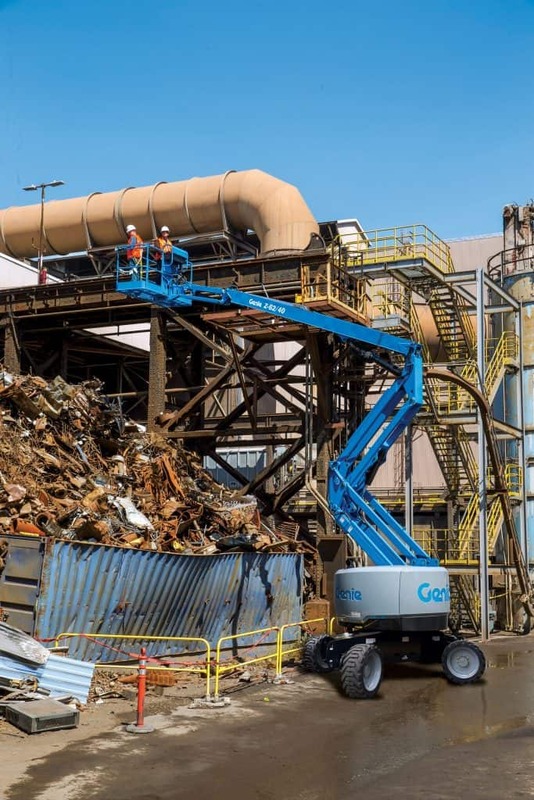 Terex AWP has fully trained the field and inside technicians at each DEUTZ Power Center, qualifying them to service Genie MEWPs and offer Genie tech support. Each Power Center location has service trucks that can travel to perform on-site repairs, with 24-hour call-out Genie tech support service available. The Power Centers are stocked with Genie parts and can drop ship emergency-repair parts orders. For more than 150 years, DEUTZ engines have supplied customized, cost-effective power to a broad array of machine types and market segments. The nine-millionth DEUTZ engine was produced in 2015. From its headquarters in Norcross, GA, DEUTZ Corporation, a subsidiary of DEUTZ AG, supports its product range of 25- to 830-hp diesel and natural gas engines. The company is committed to providing optimized power solutions from the drawing board to prototype to production release. The organization serves as a sales, service, parts, and application engineering center for the Americas, employing nearly 300 people. DEUTZ Corporation also operates a value-added production facility for some of its key OEM partners, as well as an engine remanufacturing facility in Pendergrass, Georgia. Strategically located DEUTZ Power Centers and Service Centers are designed uniquely support both OEM partners and end users. Terex Corporation is a global manufacturer of lifting and material processing products and services delivering lifecycle solutions that maximize customer return on investment. Major Terex brands include Terex, Genie, Powerscreen and Demag. Terex solutions serve a broad range of industries, including construction, infrastructure, manufacturing, shipping, transportation, refining, energy, utilities, quarrying and mining. Terex offers financial products and services to assist in the acquisition of Terex equipment through Terex Financial Services. More information about Terex is available on its website: www.Terex.com, on its LinkedIn page — www.linkedin.com/company/terex and Facebook page — www.facebook.com/TerexCorporation.